The Rock has some choice words for Under Armour CEO Kevin Plank. A smart, nuanced, and refreshing piece of political commentary, of course. On Tuesday, Under Armour CEO Kevin Plank called President Trump "a real asset for the country," and received an immediate public backlash. Steph Curry, who is sponsored by the brand, delivered a concise burn: "I agree with the description, if you remove the 'et' from asset." Misty Copeland, also sponsored by UA, weighed in with a direct challenge to Plank on her Instagram, stating, "I've never backed away from speaking openly about is the importance of diversity and inclusion. It is imperative to me that my partners and sponsors share this belief." And now Dwayne "The Rock" Johnson, wrestler, actor, unifier, future President of the United States, and Under Armour's most high profile brand ambassador, has weighed in with his thoughts on Plank's controversial statement. "His words were divisive and lacking in perspective. Inadvertently creating a situation where the personal political opinions of UA’s partners and its employees were overshadowed by the comments of its CEO. I partner with brands I trust and with people who share my same values. That means a commitment to diversity, inclusion, community, open-mindedness and some serious hard work. But it doesn't mean that I or my team will always agree with the opinion of everyone who works there, including its executives." 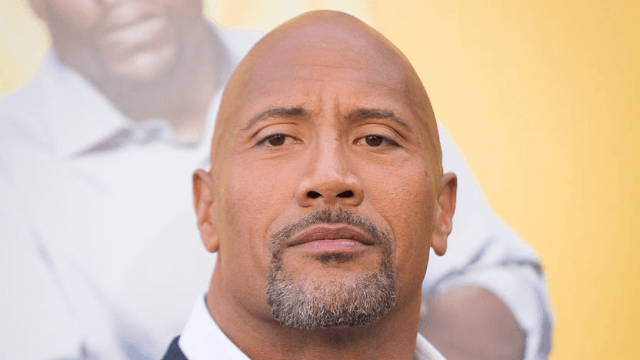 While The Rock states that he personally takes issue with Plank's statement, he wants to be mindful of how any action he might take would affect the thousands of Under Armour employees who aren't represented by Plank's comments. "I feel an obligation to stand with this diverse team, the American and global workers, who are the beating heart and soul of Under Armour and the reason I chose to partner with them."